Oddsox is a strange name. We’d have said it’s an odd name, but then that would have been frightfully obvious, wouldn’t it? 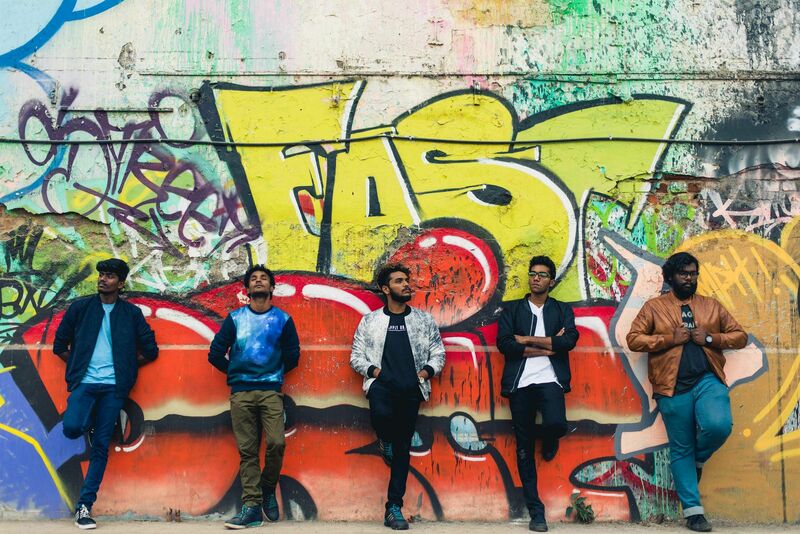 Having blazed their alt-rock trail across college fests all over, the band that comprises lead singer Neil Cornelius, lead guitarist Andrew Deepak, Balaji Krishnan on the keys, Nithin James Peter on the bass and Erai Arasu on drum duty, are looking at a killer run in the next few months. 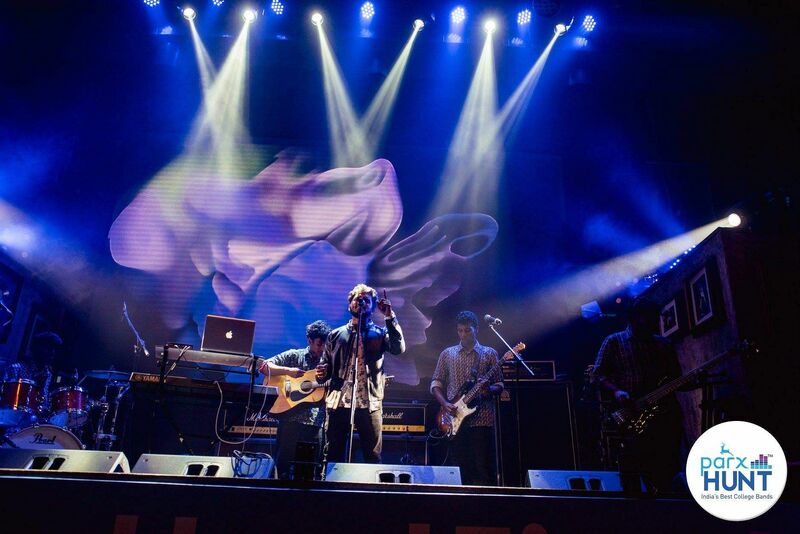 We caught up with the band, all of whom study a variety of subjects such as Economics, English and Tamil Literature and they had their heads screwed on right. 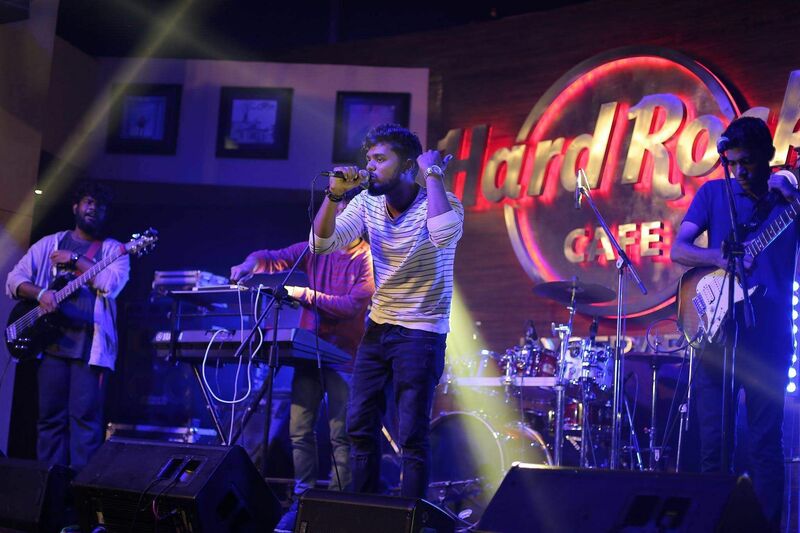 Electric five: The band that comprises lead singer Neil Cornelius, lead guitarist Andrew Deepak, Balaji Krishnan on the keys, Nithin James Peter on the bass and Erai Arasu on drum duty. When did you guys decide to start Oddsox? I came to college wanting to start a band. 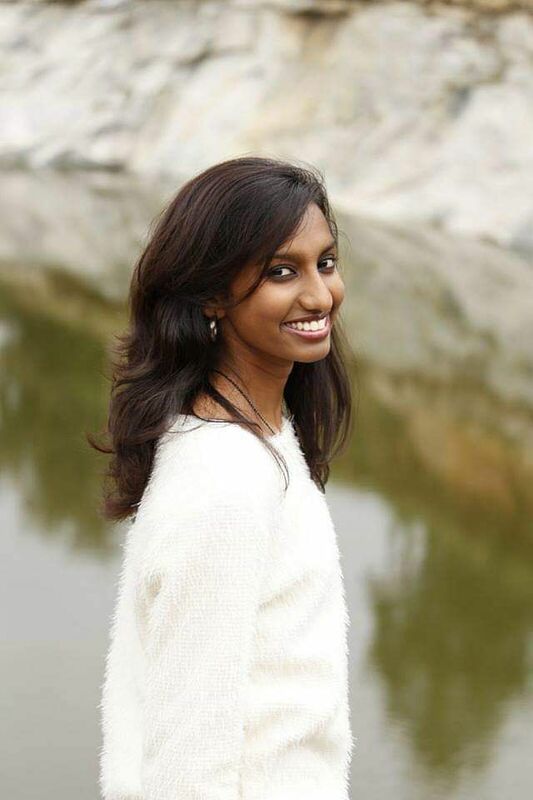 When I was hunting for bandmates, I met Nithin, who happened to be a bassist. Then I found a guy walking around with a guitar in French class and I went up to him and asked him ‘Do you want to join our band?’. He was happy to do it. The three of us were playing together for some time and out of nowhere, one of the guys from college came and asked if he could play the drums. So by then, there were four of us. This happened in three days. And later, we felt we needed one more person in the mix, so the guitarist called in his friend. We enjoy playing alternative rock. — anything from mellow, light stuff to the really heavy stuff. Something that Maroon 5 would play. What’s the story behind the name? Tell us. We’re five people, all five of us have different tastes in music. Each of us listens to different genres and each one of us has our own quirks. There’s really nothing in common between us musically, and when you look at us as individuals, we don’t have much in common either. We’re very different people. It’s odd that we come together and make music, so yeah, we thought Oddsox defines us, as a band. Our common ground is that we’re very good friends. I don’t think there could be a better name for us! Where do you guys find material for your songs? Different peeps have different muses. Well, I’m a Literature student, but it doesn’t really have an influence on my music. It’s a parallel, to be honest. When it comes to the band, it’s all about the tune. We come up with a good tune, a good melody and put lyrics in and kind of try to make sense of it. That’s how a song is born. There must be a literary influence to the lyric writing, but we don’t consciously do it. Winning a national band hunt must have been great. How has that changed things for the band? That was one crazy experience! The contest started off on September 11, 2018 and we won the title on October 4. We just had a flyer that came to the inbox, and it said that PARX was organising a nation-wide contest to find the best college band in India. At that time, we hadn’t been jamming for like six months. We were quite apprehensive and the regional finals were in Hyderabad, which meant, if we were selected, we would have to go to Hyderabad. We weren’t sure if we would be going or not. We had to send a video entry first and we got selected. We sent our video one day late actually. But they still considered our entry. Days went by and we almost forgot about it. 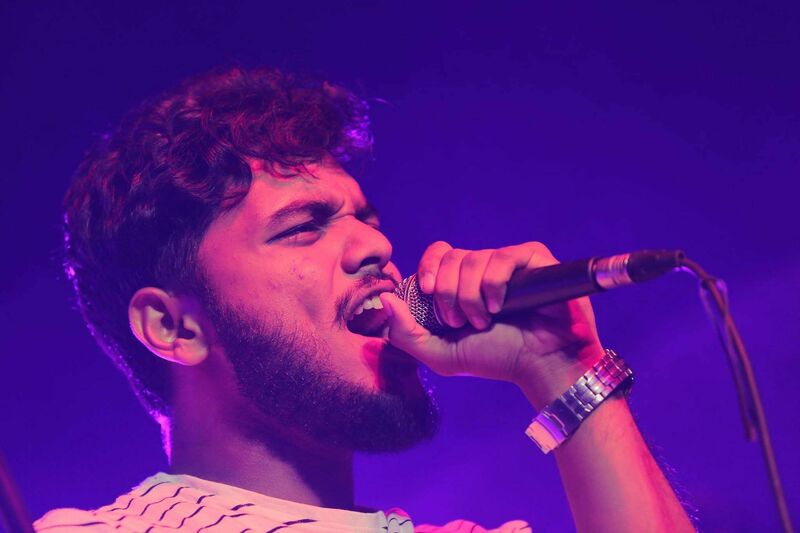 One Friday night, one of the organisers called me and told me that we got selected for the regional finals and asked me if we could fly over to Hyderabad on Monday. We were clueless. But all of us were in town and we were able to go. Once we were there, we saw the bands and we were like ‘cool’. 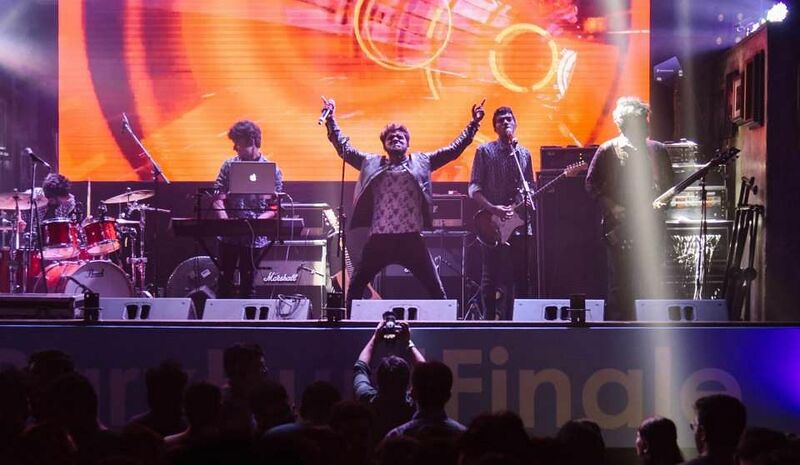 We played and we got through the regional finals and the national finals was in Mumbai. That’s when the fun really started. It was a competition among the best college bands in the country. It was really tough. We were more impressed than we were scared about it, really. We had come to a point where winning really went out of our minds. We were caught up in the experience. We were lost in the music. We were the last ones to perform that day. We played what we knew. At the end of the day, when it came to the results was when it hit us that we were in a competition and that this was the biggest competition we had gone for in our lives. We were just sitting there with no expectations and then they announced our names as the winners.